Product prices and availability are accurate as of 2019-04-23 01:35:09 UTC and are subject to change. Any price and availability information displayed on http://www.amazon.com/ at the time of purchase will apply to the purchase of this product. Fans of color LEDs get ready for the SRT7GT Tactical Flashlight, an upgrade to the favorite SRT7. 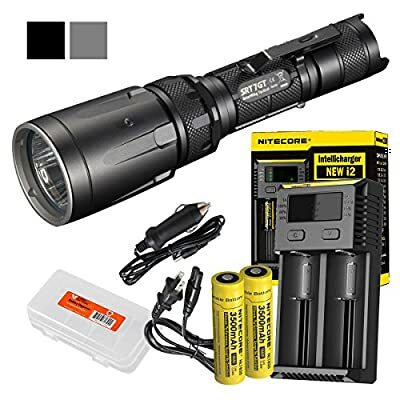 Now equipped with a CREE XP-L HI V3 LED, the SRT7GT gives off up to 1000 lumens of vibrant white light visible up to an impressive 1500 feet away. Nitecore's Third Generation patented Smart Ring technology lets users switch between a white, red, blue, green and UV outputs with a twist. The white output can also be infinitely adjusted within 1000 lumens for customized lighting every time.